Success Stories Archives - California Consulting, INC.
CC congratulates the City of Baldwin Park, El Monte, and South El Monte for receiving the Homeless Implementation Grant (Collaborative/ Joint Application) in the amount of $85,000. This application was written by CC Project Manager, Karen Simpson, who ensured a successful grant application. Thank you, Karen, and congratulations to everyone! CC congratulates the City of Baldwin Park, El Monte, and South El Monte for receiving the Homeless Implementation Grant (Collaborative/ Joint Application) in the amount of $85,000. This award is for the assessment of land/property and capital improvements to homes for shared housing. This application was written by CC Project Manager, Karen Simpson, who ensured a successful grant application. Thank you, Karen, and congratulations to everyone! CC congratulates the City of Baldwin Park, El Monte, and South El Monte for receiving the Homeless Implementation Grant (Collaborative/ Joint Application) in the amount of $113,000. This funding award is for housing navigators and housing coordinators to Build their regional approach to tackling homelessness, the Los Angeles County Homeless Initiative and United Way of Greater Los Angeles announced the award of more than $3.8 million in Measure H funding to bolster the work of cities in implementing city-specific plans to combat and prevent homelessness. It is also a significant next step in strengthening the collaboration between the County and cities in the region, which are united in their commitment to address this complex humanitarian crisis. 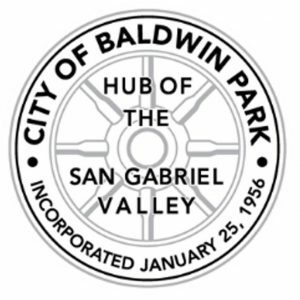 CC Congratulates the City of Baldwin Park (a CC client) for receiving the Homeless Implementation Grant in the amount of $169,200. California Consulting is honored to help turn the City’s vision into their legacy. CC congratulates the City of Baldwin Park (a CC client) for receiving the Homeless Implementation Grant in the amount of $169,200. This latest achievement is another example of the commitment of the City of Bell’s leadership to protect and promote the quality of life for its residents. It’s also a reflection of the dedication and hard work by CC Project Manager, David Marquez, who ensured a successful grant application. Thank you, David, and congratulations City of Baldwin Park! CC congratulates the City of Glendale (a CC client) for being awarded the Caltrans Highway Safety and Improvement Program (HSIP) for two projects totalling over $1.2 Million. This monies will fund pedestrian crossing projects as well as a guard rail project. This latest achievement is another example of the commitment of Glendale’s leadership to protect and promote the quality of life for its residents. It’s also a reflection of the dedication and hard work by CC Project Manager, Ashley Ramsey, who ensured a successful grant application. Thank you, Ashley, and congratulations City of Glendale! CC congratulates the City of Glendale (a CC client) for being awarded the Caltrans Highway Safety and Improvement Program (HSIP) for two projects totalling over $1.2 Million. This monies will fund pedestrian crossing projects as well as a guard rail project. This latest achievement is another example of the commitment of Glendale’s leadership to protect and promote the quality of life for its residents. It’s also a reflection of the dedication and hard work by CC Project Manager, Ashley Ramsey, who ensured a successful grant application. Thank you, Ashley, and congratulations City of Glendale!! 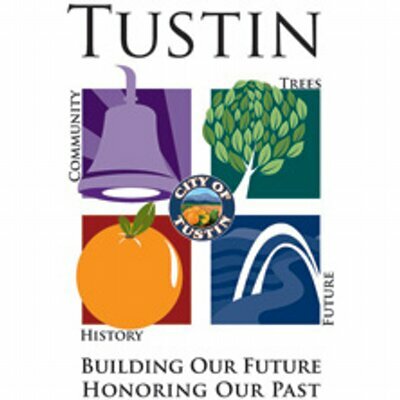 CC congratulates the City of Tustin (a CC client) for receiving the Land and Water Conservation Fund Grant in the amount of $1,500,000. This latest achievement is another example of the commitment of the City’s leadership to protect and promote the quality of life for its residents. It’s also a reflection of the dedication and hard work by CC Project Manager who ensured a successful grant application. Thank you (Grant writer,) and congratulations (Client)! CC congratulates Poway Unified School District (a CC client) for being awarded CTC Local Solutions Grant in the amount of $150,000. 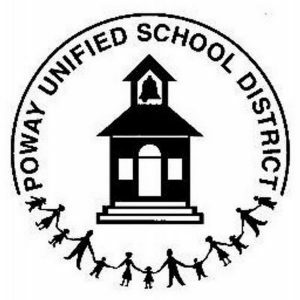 This latest achievement is another example of the commitment of Poway Unified’s leadership to protect and promote the quality of life for its students. It’s also a reflection of the dedication and hard work by CC Project Manager, Dana Leusch, who ensured a successful grant application. Thank you, Dana, and congratulations Poway USD! 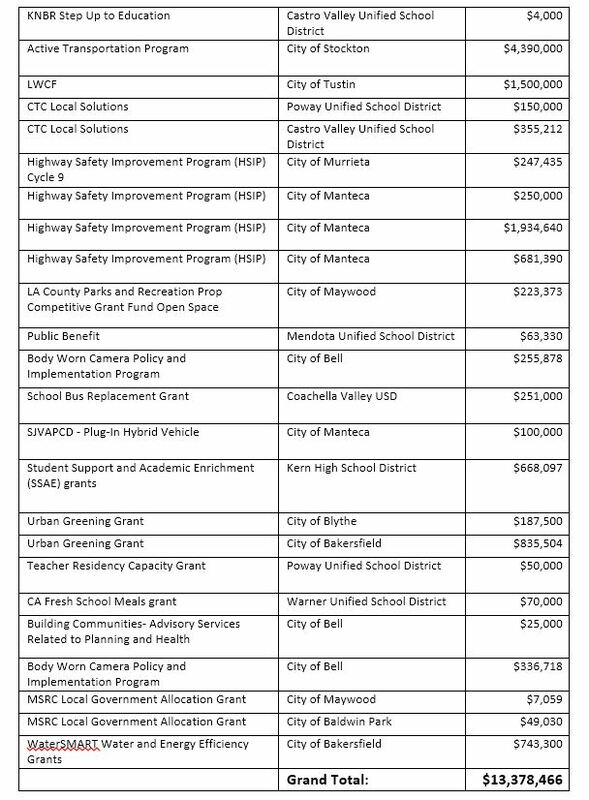 CC congratulates Castro Valley Unified School District (a CC client) for being awarded the CTC Local Solutions Grant in the amount of $355,212. This latest achievement is another example of the commitment of CVUSD’s leadership to promote the quality of life for its students. It’s also a reflection of the dedication and hard work by CC Project Manager, Dana Leusch, who ensured a successful grant application. Thank you, Dana, and congratulations Castro Valley USD! CC congratulates Castro Valley Unified School District (a CC client) for being awarded the CTC Local Solutions Grant in the amount of $355,212. This latest achievement is another example of the commitment of CVUSD’s leadership to promote the quality of life for its students. Thank you, Dana, and congratulations Castro Valley USD! CC congratulates the City of Bell (a CC client) for being awarded the Body Worn Camera Grant in the amount of $511,756 from the Department of Justice. 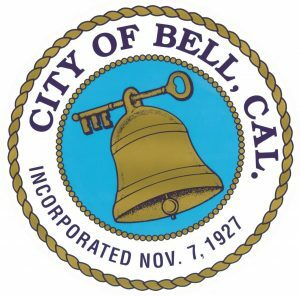 CC congratulates the City of Bell (a CC client) for being awarded Body Worn Camera Grant in the amount of $511,756 from the Department of Justice. Thank you, David, and congratulations City of Bell! 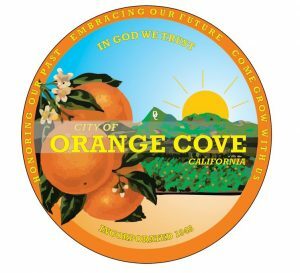 CC INC is honored that the City of Orange Cove has asked us to provide grant writing services. We look forward to collaborating with the City to help transform their vision into their legacy. Thank you, City of Orange Cove!